Complexions Contemporary Ballet. Photo by Steven Truman Gray. Brandon Gray and company in ‘Star Dust’. Photo by Sharen Bradford. Over these past years, Complexions has performed on five continents, over 20 countries, to over 20 million television viewers and to over 300,000 live audience members. The company has remained fresh and groundbreaking, and it shows no signs of wavering. 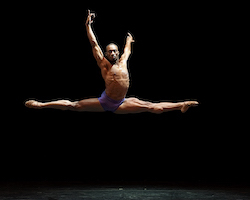 This special anniversary season, founding lead dancer and co-artistic director Richardson gave his final performance as a full-time member of the company during a special gala performance on February 21. 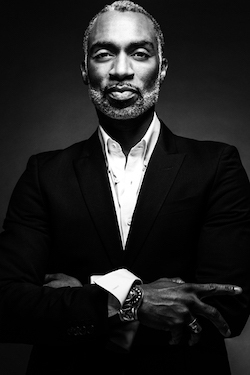 Proceeds from the gala benefit will continue to help build Complexions’ educational initiatives through scholarships, mentorship programs and the continued development of Rhoden and Richardson’s methodology of dance training. Desmond Richardson. Photo by Brian Thomas. Program highlights included the NYC premiere of Bach 25, Rhoden’s athletic, neo-classical work featuring the whole company; Woke, a piece that combines modern, ballet and even hip hop with popular music and spoken word; and From Then to Now, an amalgamation of the company’s works over the past 25 years. With the company being 25 years old now, it’s a particularly important time, personally and professionally, for Richardson, and it’s given Rhoden and him a chance to reflect on what their once small idea of a company has turned in to. Desmond Richardson. Photo by Gene Schiavone. Having just turned 50 himself this year, Richardson shares that he is at peace with his transition away from the stage, wanting to focus more on the behind-the-scenes elements and also dealing with bursitis in both feet. 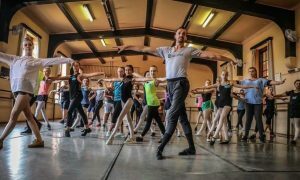 “At this moment, it’s time for me to step aside and let the young ones do what they’re doing and to actually coach them and continue to bring forth their artistic vision in terms of their creativity,” he says. Complexions Contemporary Ballet. Photo by Steven Pisano. 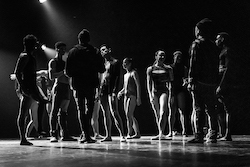 Next up for Complexions is the final leg of its 2019 spring season, including more performances in the U.S., and a tour to Australia and New Zealand this May. And then, of course, the next 25 years. For more information on Complexions Contemporary Ballet, visit www.complexionsdance.org/25.